[News] 140521 ‘Triangle’ continues to drop in viewer ratings but which Mon-Tues drama ranked #1 this week? Although ‘Doctor Stranger’ hasn’t seen much of an increase in viewer ratings lately, it was still able to maintain its #1 spot in its time slot this week! According to AGB Nielsen Media Research, the May 20th episode of SBS’ ‘Doctor Stranger’ achieved a 12.7% viewer rating, which is a 1.3% decrease from its previous viewer rating of 14.0%. KBS 2TV’s ‘Big Man’ was the only Mon-Tues drama that saw an increase in viewer ratings and rose 0.9% from a 8.1% to 9.0% viewer rating. MBC’s ‘Triangle’ continued to drop, coming down 0.5% from a 7.3% to 6.8% viewer rating. 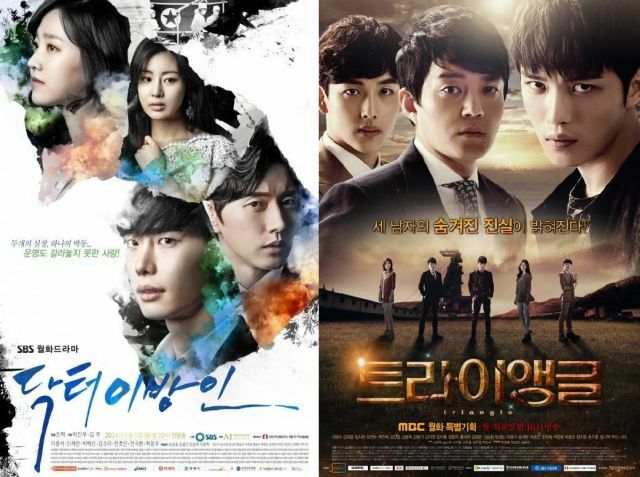 The competition between “Triangle – Drama” and “Doctor Stranger” has begun. According to Nielsen Korea, MBC “Triangle – Drama” topped the ratings in its first broadcast at 8.9%. Last week’s 51st broadcast of MBC “Empress Qi” ended at 28.7%, which is a whopping 19.8% decrease in ratings for this week. The first broadcast of SBS “Doctor Stranger” rung in closely behind the top spot at 8.6%. Meanwhile, KBS “Big Man” rated closely as well with a solid 8.0%. TNmS 9% Nationwide – 10.3% Seoul. [TRANS] 130821 24 Episodes Of ‘Our Neighborhood’s Master’ Are Sold To Japan, Is This The Max Changmin Effect? With contents such as dramas and movies being exported to other countries along with the K-pop craze, variety shows are rapidly rising as the money makers of broadcasting companies. KBS2′s ‘Our Neighborhood’s Master of Variety and Sports’ recently became a hot topic for selling its first 24 episodes to Japan in only four months since starting the show. It’s common for the format of popular Korean variety shows and the shows themselves, such as MBC’s ‘I Am a Singer’ SBS’ ‘K-pop Star’ and Mnet’s ‘SuperstarK’ to be exported overseas. However, it usually takes at least a year and a half after the show ends for this to take place. This is because it isn’t easy to overcome the language barrier and make people of other nationalities and cultures laugh. Even popular shows such as MBC’s ‘We Got Married’ and SBS’ ‘We Like Sunday – Running Man’ were exported only after they scored high viewership ratings in Korea. Our Neighborhood’s Master’ has only aired 20 episodes but is already set to export its first 24 episodes, which include episodes from September that have not aired yet, to Japan. Though many dramas starring Hallyu stars are sold overseas before they air, it is rare for a variety show to be exported before or during the show’s airing. It is extremely rare for a show to be sold overseas as early as ‘Our Neighborhood’s Master’ was. Max Changmin has become the shield of ‘Our Neighborhood’s Master of Variety and Sports’. During the episode of KBS 2TV’s ‘Our Neighborhood’s Master of Variety and Sports’ that aired on the 13th, the celebrity team had their first away badminton match in Doogu-dong, Busan. On this day, Max Changmin’s stunning visuals became a topic as hot as the matches that took place. Though the matches were so tight that it was difficult to guess who would come out on top, the Doogu-dong team began talking about Max Changmin’s good looks rather than the game. With the phrase, “How could I possibly smash the birdie at that (good-looking) face?” summing up their feelings for Max Changmin, his out-of-this-world good looks may become the celebrity team’s greatest weapon. During the team’s first badminton match against the Joonggok-dong team, a woman on the opposing team took one look at Nickhun’s burning gaze and said, “I can’t serve this birdie.” With Max Changmin’s good looks now becoming a hot topic and stopping the female players in their tracks, the power of the celebrity team’s ‘handsome guy’ has hit full force. Meanwhile, the celebrity team’s hard efforts are paying off with a rise in viewership for the show. ‘Our Neighborhood’s Master of Variety and Sports’ recorded a 0.2% rise in ratings this week to come to a total of a 7.5%, the highest viewership the show’s ever had. ‘Our Neighborhood’s Master of Variety and Sports’ has topped the viewership ratings in its time slot yet again. According to TNmS, the episode of KBS2′s ‘Our Neighborhood’s Master of Variety and Sports’ that aired on the 30th, which featured the celebrity team’s first win, scored a viewership of 6.8%. This is 0.3% higher than last week’s episode, making the show the most watched program in its time slot for the fourth consecutive week. ‘Our Neighborhood’s Master of Variety and Sports’ is said to be popular amongst the middle-aged generation with viewerships coming in at 5.3%, 5.1%, 5.0% and 4.1% for women in their 40s and 50s, and men in their 40s and 50s respectively. KBS1′s documentary program had a viewership of 6.0% while MBC’s PD Notebook had ratings of 4.2%. Kang Ho Dong‘s new variety show ‘Our Neighborhood Arts and Physical Education‘ is off to a good start as it debuted as #1 in its time slot, beating out ‘Incarnation‘. AGB Nielsen Korea reported on April 10th that the 9th’s airing of KBS2‘s ‘Our Neighborhood Arts and Physical Education’ received a 6.2% viewer rating, which is a solid rating for this particular slot. ‘Our Neighborhood Arts and Physical Education’ stars Kang Ho Dong, Lee Soo Geun, Changmin, among others, and the premise of the show is that the stars go to different neighborhoods and compete against regular citizens. The first episode featured the MCs recruiting celebrities for their ping pong match against ordinary citizens. SBS‘s ‘Incarnation’ that airs during the same time slot received a rating of 4.9%, which is a 2% drop from what it rated the previous week. This big drop allowed MBC‘s ‘PD Notebook‘ to rise above it with a 5.3% rating. For those who have watched the show, what do you think of this new variety program? SBS’ ‘Queen of Ambition’ has beat out MBC’s ‘Ma-Ui’ to be crowned the most watched Monday-Tuesday drama. According to Nielsen Korea, a company that surveys viewer ratings, the latest episode of ‘Queen of Ambition’ scored nationwide ratings of 19.4%, only 0.6% shy of crossing the 20.0% margin. ‘Ma-Ui’ came in at second place with ratings of 18.1% while KBS 2TV’s ‘Advertisement Genius Lee Tae Baek’ fell to 3.9%. ‘Queen of Ambition’ rose 1.9% compared to the last episode while ‘Ma-Ui’ fell 2.2%. ‘Advertisement Genius Lee Tae Baek’ also fell 0.5%. MBC’s Wednesday-Thursday drama ‘I Miss You’ has come to a successful conclusion with a rise in viewer ratings. According to Nielsen Korea on the 18th, the episode of ‘I Miss You’ that aired on the 17th recorded viewer ratings of 11.6%. This was a 1% rise from the previous episode’s 10.6% viewer ratings. On this day’s finale of ‘I Miss You’, Jung Woo (Park Yoochun) and Soo Yeon (Yoon Eun Hae) met at a church on the first day of snow as promised and got married, concluding the drama with a happy ending. 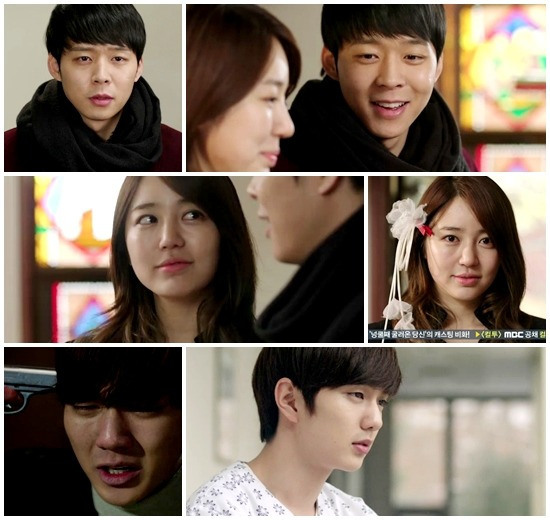 ‘I Miss You’ has been receiving praise from the first episode as Park Yoochun, Yoon Eun Hae and Yoo Seung Ho grabbed the attention of viewers with their talented acting skills and nail-biting romance. The drama also became a hot topic for discussing the social issue of victims of sexual abuse. Meanwhile, KBS2′s ‘JeonWooChi’ came in at 13.8% and SBS’ ‘Daepoongsoo’ came in at 10.2%. [Info] 121227 ‘I Miss You’ vs ‘Jeon Woo Chi’…Who’s The Top of Wed-Thu Dramas? ‘Jeon Woo Chi’ of KBS2 and ‘I Miss You’ of MBC is having a hot competition for the top of Wed-Thu dramas. According to AFB Nielsen Media Research, ‘Jeon Woo Chi’ on 26th recorded 12.2% of national audience rating. It’s 0.3% higher than its previous episode’s 11.9% on 20th. ‘Jeon Woo Chi’ that had to yield the top position to ‘I Miss You’ before has kept the top for 2 consecutive weeks from the last week, but it’s not the time to be comfortable since ‘I Miss You’ is chasing after ‘Jeon Woo Chi’ closely. ‘I Miss You’ recorded 10.5% on 26th, and it’s 0.8% higher than its previous episode’s audience rating, 9.7% of 20th. The increase of the audience rating of ‘I Miss You’ is bigger than ‘Jeon Woo Chi’, and the gap between the audience ratings of two dramas is only 1.7%. According to another audience rating research company, TNmS, ‘I Miss You’ recorded 15.2% and ‘Jeon Woo Chi’ recorded 13%. Two dramas are showing a hot competition, which gains attention for the future race. Meanwhile, ‘Dae Pung Su’ of SBS recorded 8.5%. [News] 121221 ‘I Miss You’ Was Ranked at #2…Why? ‘I Miss You’ of MBC was ranked at #2 while ‘Jeon Woo Chi’ of KBS2 got #1 again among Wed-Thu dramas. According to AGB Nielsen Media Research, ‘I Miss You’ on 20th recorded 9.7% of national audience rating. It’s 1.9% lower than its previous episode’s one, 11.6% on 13th. 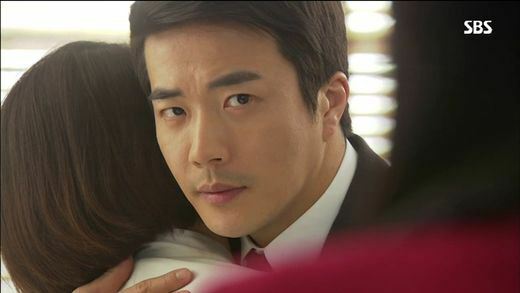 ‘I Miss You’ had been #1 among Wed-Thu dramas from its 10th episode, but it gave #1 position to ‘Jeon Woo Chi’ this time. ‘I Miss You’ showed decrease of audience rating due to no broadcasting on 19th because of the broadcasting of the Presidential Election, ‘Jeon Woo Chi’ that was the only drama that was broadcasted normally got #1 rank with higher audience rating. In ‘I Miss You’ on 20th, there was a kiss scene of Su-Yeon(Yun Eun-Hye’s role) and Jeong-Woo(Park Yu-Cheon’s role) after recognizing their love for each other. However, Su-Yeon said to Jeong-Woo that she will marry to Harry(Yu Seung-Ho’s role), which announced a sad romance of two people. Meanwhile, ‘Jeon Woo Chi’ of KBS2 got 11.9%, and ‘Dae Pung Su’ of SBS got 8.2% of audience rating. I Miss You’ got the top of Wed-Thu dramas after defeating ‘Jeon Woo Chi’. According to AGB Nielsen Media Research, ‘I Miss You’ on 6th recorded 11.5% of national audience rating. It’s 0.5% higher than its previous episode’s audience rating, which made it record its highest audience rating. ‘I Miss You’ became #1 among Wed-Thu dramas for the first time after it was released on November 7. The audience rating of the drama increased steadily, and finally it passed the audience rating of ‘Jeon Woo Chi’. In ‘I Miss You’ on 6th, Joy(Yun Eun-Hye’s role) said to her mother Kim Myeong-Hee(Song Ok-Suk’s role) that she is Lee Su-Yeon, but also said that she cannot go back to Lee Su-Yeon. Kim Myeong-Hee cried out while saying that she will do that for her daughter, which made audiences cried. Also, it came out that a murderer of Kang Sang-Deuk was a janitor of a police office(Kim Mi-Kyeong’s role). Jeong-Woo(Park Yu-Cheon’s role) who suspected her went to her house, and fell down by a taser. Meanwhile, ‘Jeon Woo Chi’ of KBS2 that had been #1 recorded 10.8%. ‘Dae Pung Su’ of SBS recorded 9.0% of audience rating.